The truth is, someone can either boost or blindside a reputation in less than a minute from virtually anywhere in the world. Many businesses wonder how to protect themselves from these attacks and how to shed the best light possible on their brand. Fortunately, there are some easy ways to do this. 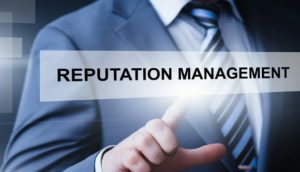 Here are some killer strategies any individual, company, or corporation can use to manage their online reputation in order to make a positive first impression. 1. Actively Manage: Customers and clients tend to share negative information about companies through Facebook comments or their tweets on Twitter. It is important to identify which sites and networks have these issues frequently. Stories have the potential to go viral instantly, so taking steps to react to this information as quickly as possible is important. Not managing it properly means loss of control, so stay in the driver’s seat. 2. Protect: For those who haven’t taken the time to claim their company names or product keywords for their domain names, do it now. Minnesota Reputation Management Firm Webutable shares that this essential step prevents anyone who has ulterior motives, especially any competitors, from snatching up these domains and using them to defame others. 3. Pay Attention: The truth is that there can be a connection between what’s going on online and what is happening in the real world. Keeping an emphasis on customer service and satisfaction is a great way to stay on top of things, and hopefully can generate some positive reviews, retweets, and mentions online as well. Webutable knows that following these killer tips can help anyone monitor their reputation in order to look their best online. The world today is very different from what it was 20 or even 10 years ago. Advancing technology and the massive use of online tools has made it much easier to obtain information and get the word out to large populations of people. On the other side, public profiles of businesses and individuals alike can face reputation attacks without advanced warning. The professionals of Reputation Management Firm (Webutable.com) are available to help clients defend their reputations, develop specialized plans to maintain positive presences online and to help contribute to the future developments of each client. While many people have a tendency only to give their reputation a thought when it is compromised, reputation management is so much more than simply repairing what has already been damaged. Creating a plan in advance that will offer a layer of protection and know ways to respond properly in the event of an attack are both major contributors to reputation management. Of course, each client is different and will require a specific campaign to make an impact. Along those lines, being idle after a reputation attack can lead to even more difficulty down the road. Information online that can hurt an individual or business and will continue to do so as time passes. The worst thing to do in response is nothing at all. A name must be protected on a constant basis, even if there is no immediate threat of public perception changing. Webutable.com is always concerned about the well-being of its clients. Sometimes, preventative maintenance alone can make all the difference. If something more is required, having a plan of action ahead of time and implementing it as soon as possible is what 21st-century reputation management is all about.